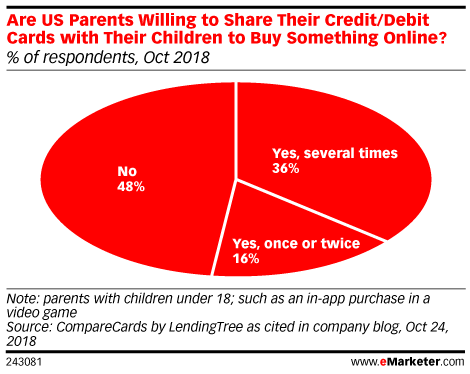 Data is from the October 2018 CompareCards by LendingTree survey conducted by Qualtrics. 807 US internet users with children under 18 were surveyed online during October 9-10, 2018. CompareCards, part of LendingTree, is an online exchange that connects consumers with credit card benefits and information.